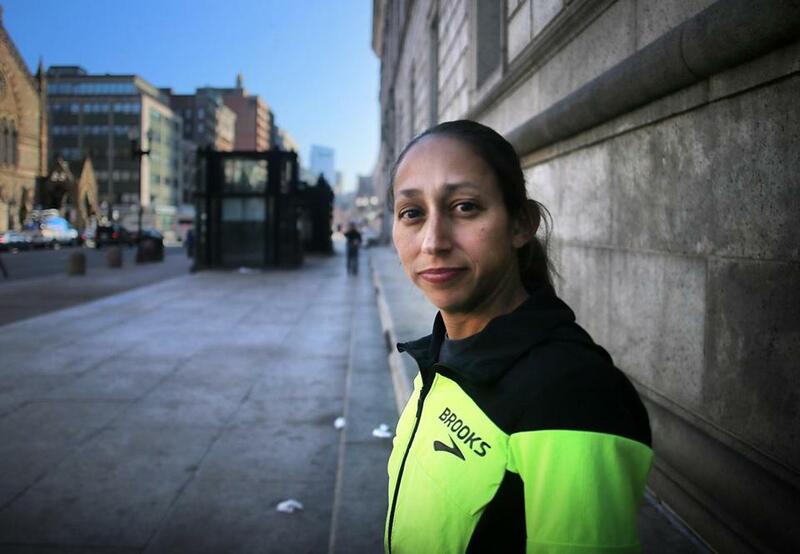 Desiree Linden at the Boston Public Library, near the Boston Marathon finish line. 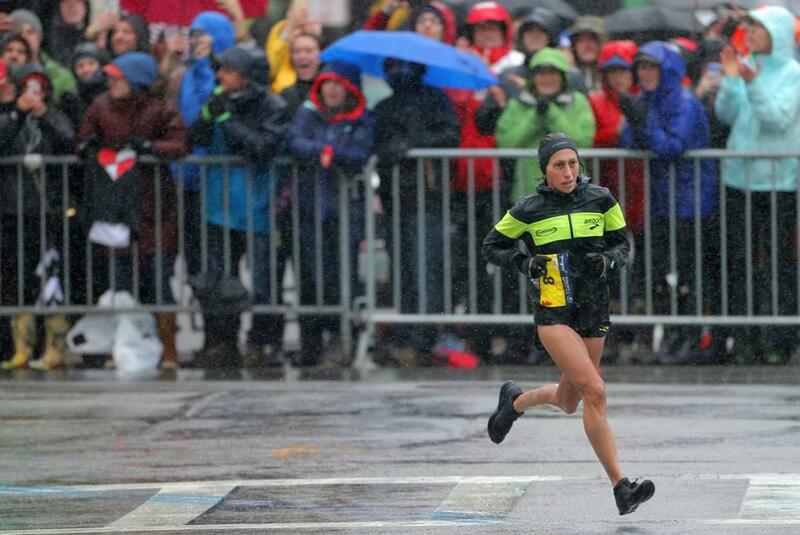 “This is storybook stuff!” Desiree Linden marveled a year ago after she’d snapped the soggy tape on Boylston Street. 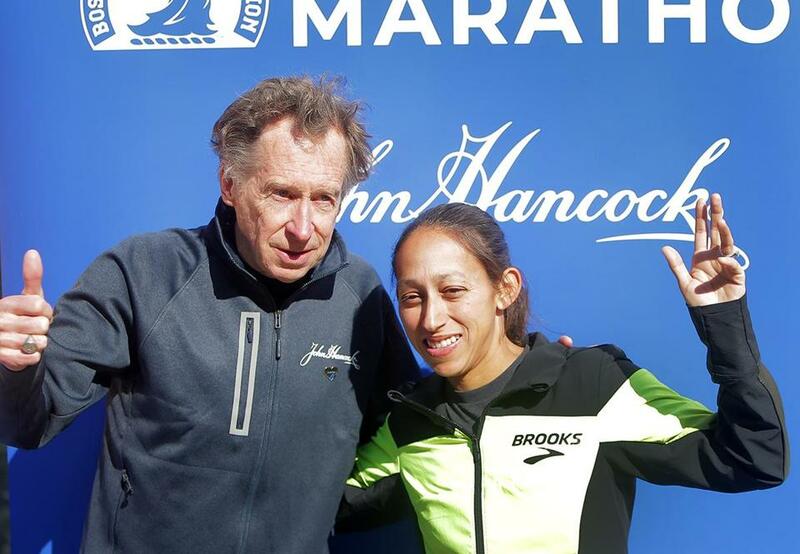 Even now she half-expects some Boston Athletic Association official to tell her that her Boston Marathon victory was as imaginary as a unicorn. Since Linden ran through cold, gale-swept rain to become the first female American champion here in 33 years, her life has been a whirlwind. Besides the endorsements and red-carpet appearances, her breakthrough triumph on her sixth try in Boston set Linden free to pursue whatever road she will at 35. “It’s just this huge weight off,” she said. Her Boston victory also was the catalyst for a coaching change. After more than a dozen years with Michigan brothers Keith and Kevin Hanson, Linden reconnected last summer with Walt Drenth, who coached her at Arizona State and now directs Michigan State’s men’s and women’s track-and-field and cross-country teams. Linden and Boston great Bill Rodgers unveiled the banners for this year’s race last month. With Boston checked off the list, the next big target is February’s Olympic trials in Atlanta, where Linden will attempt to become the first woman to make three US marathon teams. This time, though, she’s planning on a more prudent approach than she took in 2016 when she put enormous pressure on herself to qualify for Rio de Janeiro after dropping out in London in 2012. So Linden took a break during the fall of 2017 to ask herself whether she still loved the sport enough to lace up and get herself out the door every day. 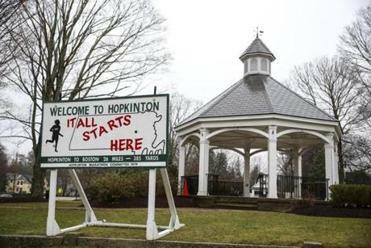 She decided that the answer was training for Boston, where she fell in love with marathoning during her 2007 debut in a howling nor’easter despite finishing 18th. Linden was second in her next appearance in 2011, when she was outkicked by Kenya’s Caroline Kilel along the final stretch and lost by two seconds, then eighth (2014) and fourth twice (2015 and 2017). Six miles into last year’s race, she’d given up on the idea of a laurel wreath. But Linden, who has the doggedness of a terrier, kept grinding, and on the Brookline flats found herself all by herself. “I can’t be winning,” she thought. Linden rounds the corner onto Hereford Street in rainy conditions last year, on her way to victory. Linden prevailed by more than four minutes, collected $150,000 and a silver trophy for her exertions, and immediately became a star-spangled heroine with an armful of offers. There was “celebratory stuff,” too, such as presenting the Best Female Artist award to Taylor Swift at the Billboard Music Awards in Las Vegas. Linden got to hang with the stars because of what she does on the roads, and she understands that. The challenge is to keep her outside commitments from sabotaging her training. Drenth sees his role as more of a consultant than coach. Linden already has compiled a world-class résumé with her Boston victory plus top-five finishes at New York, Chicago, and Berlin, a 10th place at the world championships, and a seventh in the Olympics. That gives her the luxury of doing whatever intrigues her. After Boston, Linden will ease off and figure out the rest of her year. Perhaps a fall marathon such as New York. Or maybe a half marathon and some 10Ks to prep for the Olympic trials. If Linden makes the team for Tokyo, she won’t be here next time. But she will be back. “There’s a lot of 26.2-mile road races, and the idea right now is, how can we make it faster, flatter, taking all of the challenges out of it so we can feel like we’ve conquered the beast?” she said.